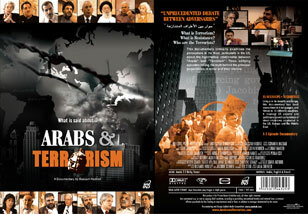 This is a multi-faceted research and documentary project on Arabs and Terrorism. It is unique in its breadth and scope: researched in 6 languages and filmed on location in 11 countries, with 120 experts/politicians and hundreds of street interviews in the United States, Europe, and the Arab world. It examines the dominant discourse on terrorism in the United States and Europe and offers critics an opportunity to respond. The research component is available on this site as a resource, and the documentary component is available for viewing in a variety of ways, including on television/DVD, in theatres/festivals, and as part of a made-to-order screening and lecture tour involving the director and crew.